I regularly walk lowland footpaths which are often (or are often becoming) overgrown with bramble bushes, and I’ve spent several years trying to find a suitable pocket tool for clearing them*, which is compact, portable, and as inoffensive as possible to other walkers. *It’s not my responsibility to keep footpaths clear, but I like to ‘do my bit’ for the walking community. 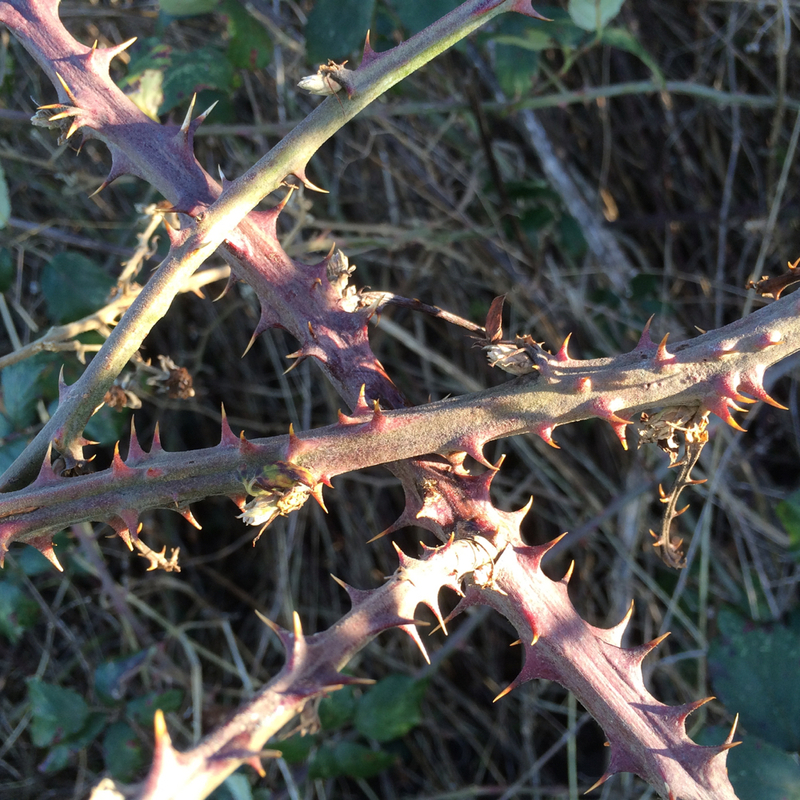 Tough, old, and very thorny bramble bush shoots. I have had reasonable success with my Leatherman Raptor folding shears, but they struggle with thicker, older bramble stems. 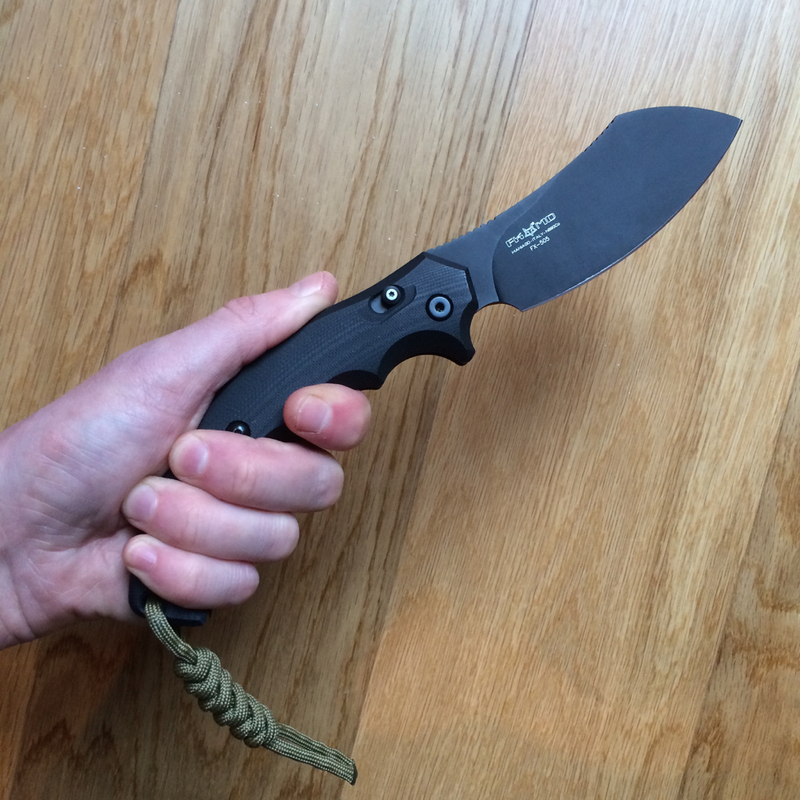 Mid-size folders like my Spyderco Breeden Rescue can be very effective if kept sharp and used with an extended grip and snap-cut, but again struggle with larger and older stems, and can be hard on the wrist. 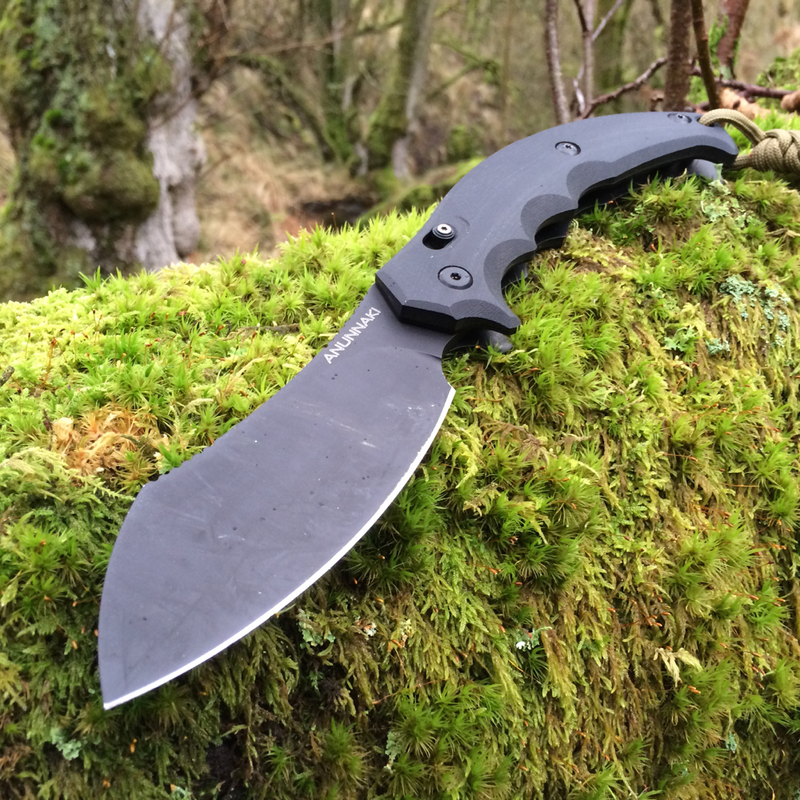 A machete, or better still a lightweight kukri-style fixed blade (such as the Spyderco Schempp Rock) would be perfect from a function point of view, but would be totally unacceptable (in my view) for wandering around the British Countryside. 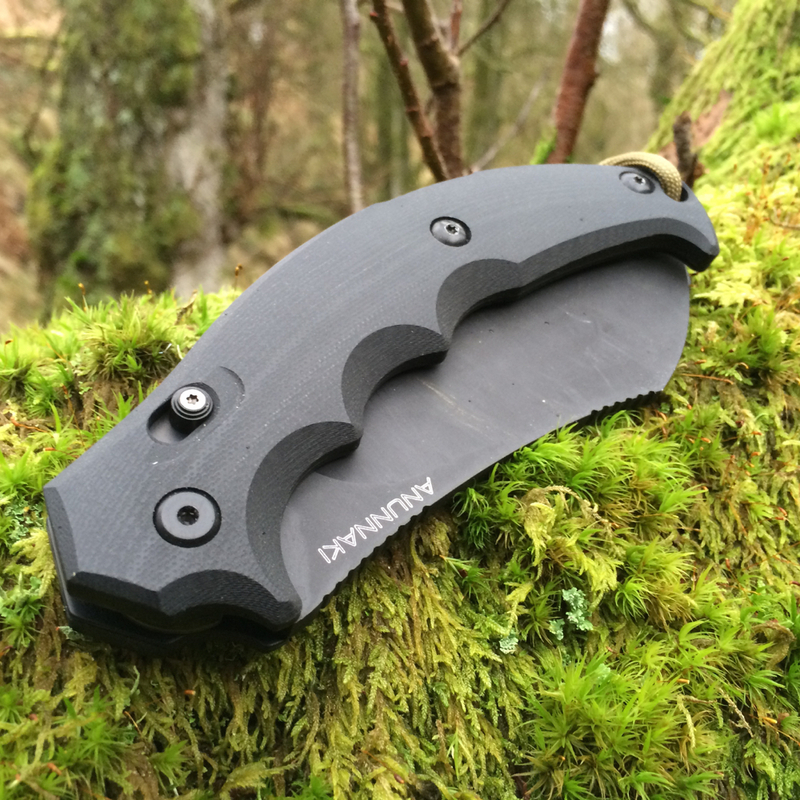 Finally, in the autumn, I came across the Fox MD Anunnaki, which appeared like it might be a good compromise, offering greater chopping and slashing power than my mid-size folders, but which could still be slipped into a pocket or innocuous belt pouch. 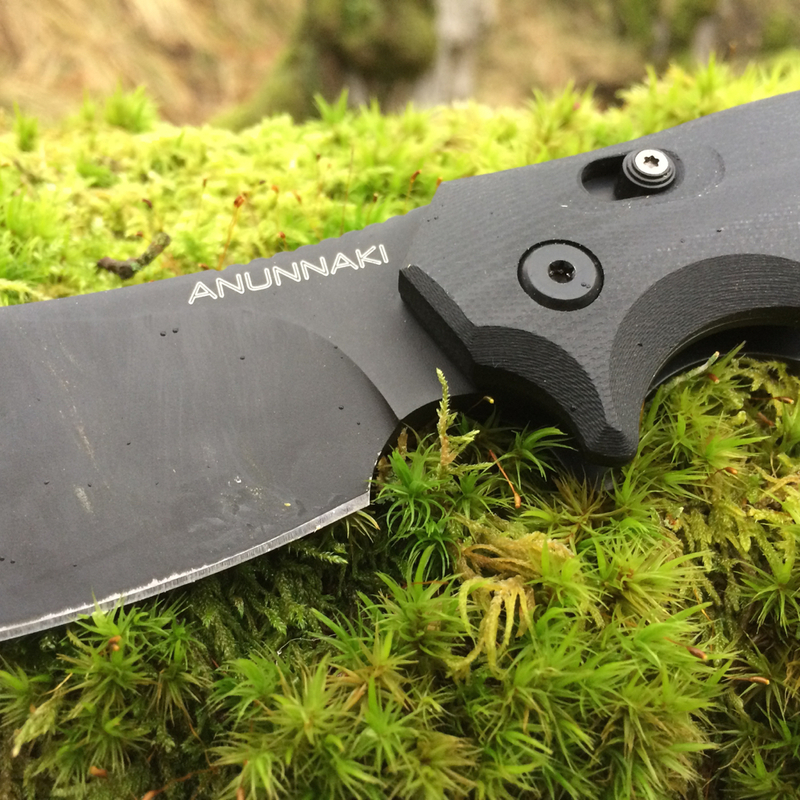 After a few months of testing, the Anunnaki is just about perfect. It’s my new pocket panga*. *an East African word for machete. Blade coating: Black Ceracote ceramic. Locking mechanism: Lock-back with secondary ambidextrous lock-out. Handle material: G10 with steel liners. *An Austrian steel with a very similar composition to VG10 – 1.07% carbon, 17% chromium, 1.5% cobalt, 0.4% manganese, 1.1% molybdenum, 0.4% silicon, 0.1% vanadium (from the Spyderco 2015 Product Guide steel chart). I have always been drawn to santuko/sheepsfoot style blades for utility use – I just find them much more user friendly for the majority of cutting, slicing, splitting, shaving, and carving I do. 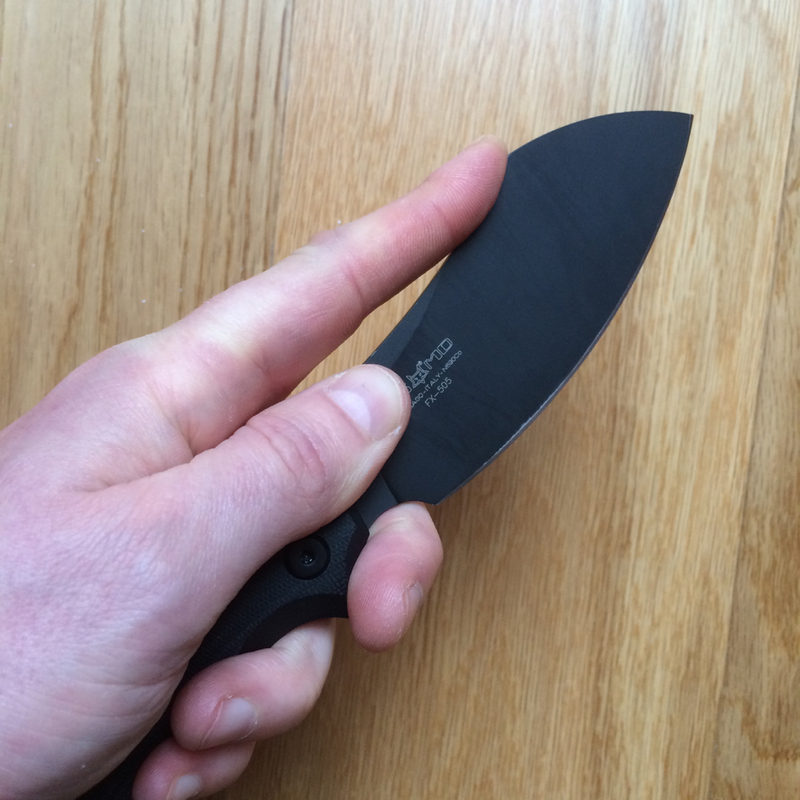 They have a nice strong tip, and are less likely to cause puncture injuries than blades with finer or sharper points. In the case of the Anunnaki, the blade shape gives a lot more weight to the blade, while still offering a very effective full-flat grind. 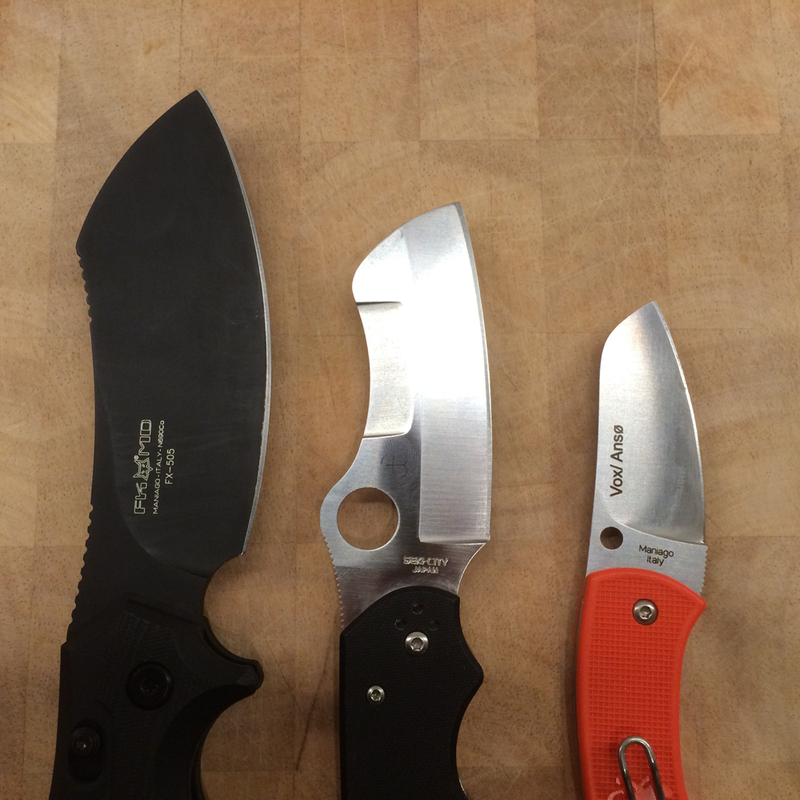 The Anunnaki compared to two of my favourite folders with similar blade shapes – a Spyderco Breeden Rescue and Spyderco Pingo. 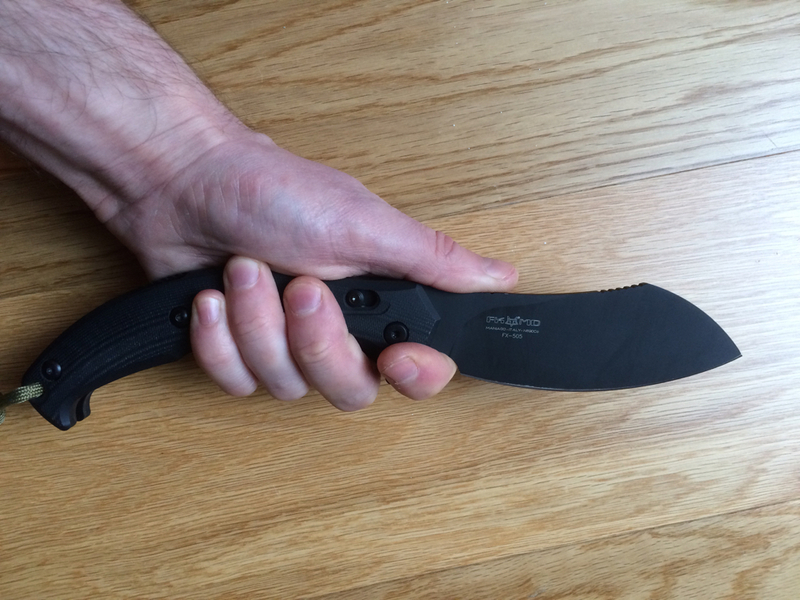 The handle is made from machined G10 with stout steel liners. The texture on the G10 is very smooth, but the deep finger grooves give lots of traction with most grips. Basic sabre grip behind pivot gives a neutral, balanced feel. Choking-up on the blade for more control. 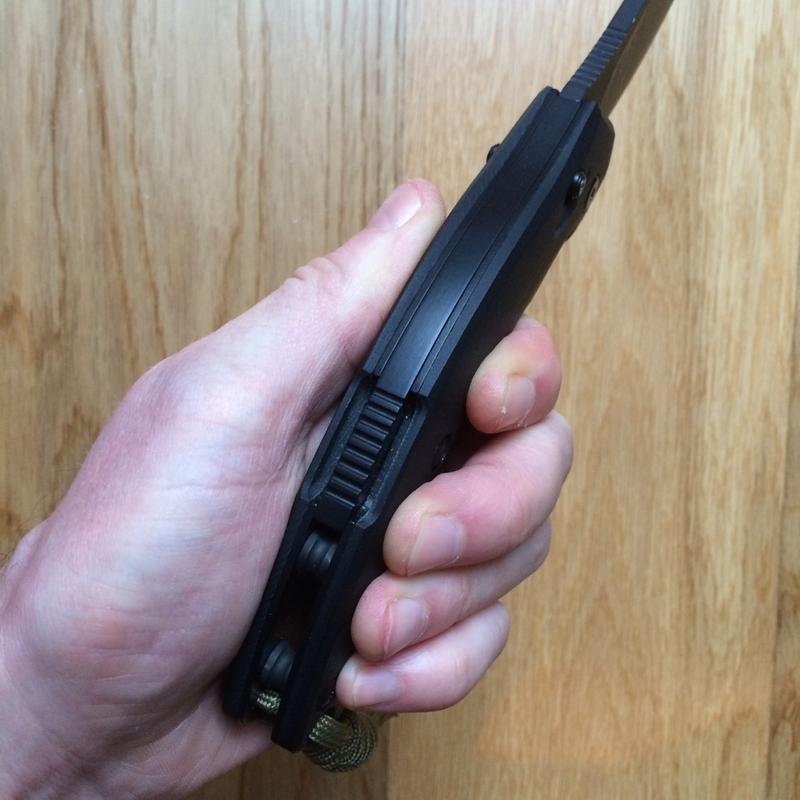 A scalpel type grip for greatest tip control. 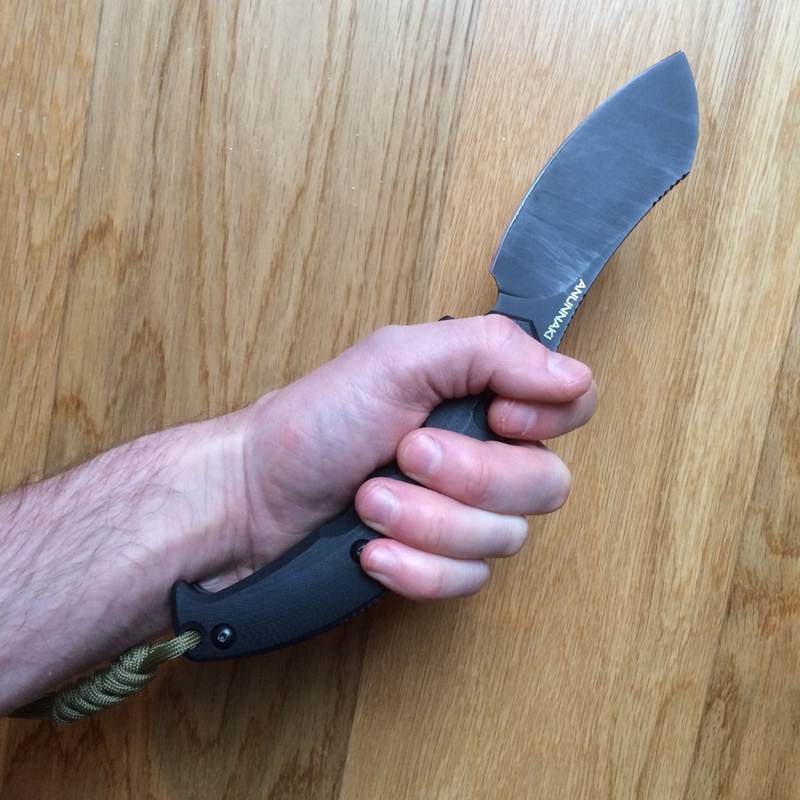 An extended grip gives excellent chopping ability, similar to that of a fixed blade nearly twice it’s length. The angle of the handle means the cutting edge is now in line with the wrist, which is much more ergonomic for chopping (less strain on the wrist). A reverse grip (as used with chest-lever cutting) is one of the few grips which does not work well, as the pommel pushes uncomfortably into your wrist. Blade lock-up is very solid, utilising a 6mm wide lock-back mechanism. A secondary ambidextrous ‘lockout’ mechanism next to the blade pivot (which looks a bit like a Benchmade Axis lock) locks-out the main locking bar with the blade in both open or closed position. Very solid 6mm locking bar, recessed to reduce the chances of accidental disengagement. 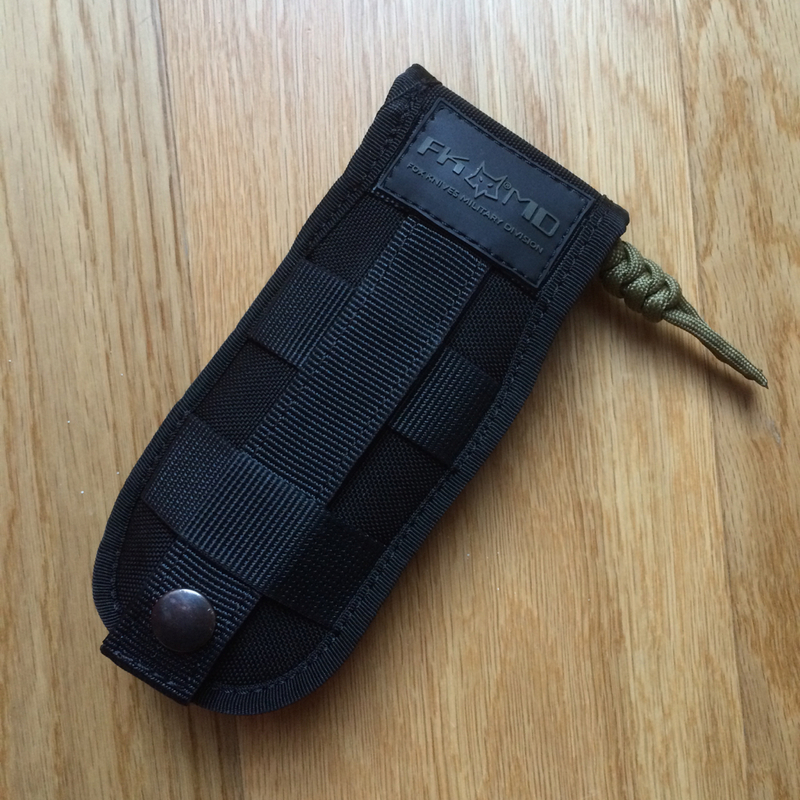 The MOLLE compatible factory sheath is a very high-quality padded 1000D nylon design, with an adjustable National Mouldings 19mm side-release buckle fastening. With knife inside, it is approximately 70x170x35mm. 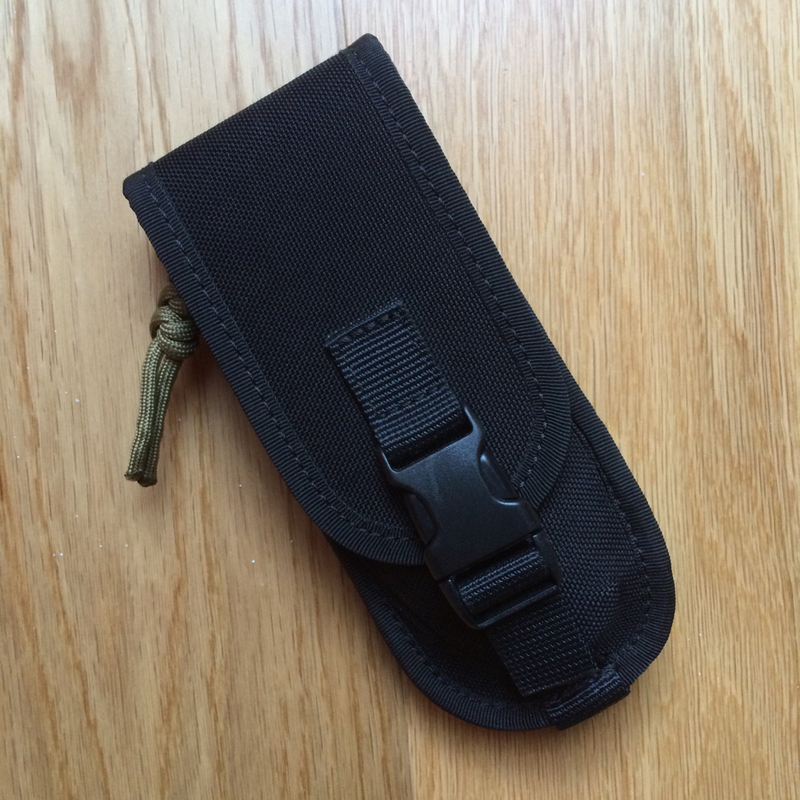 My only concern with the sheath is that the male part of the side-release buckle is not captive – if left unfastened, it could easily slip off the short piece of webbing and be lost. 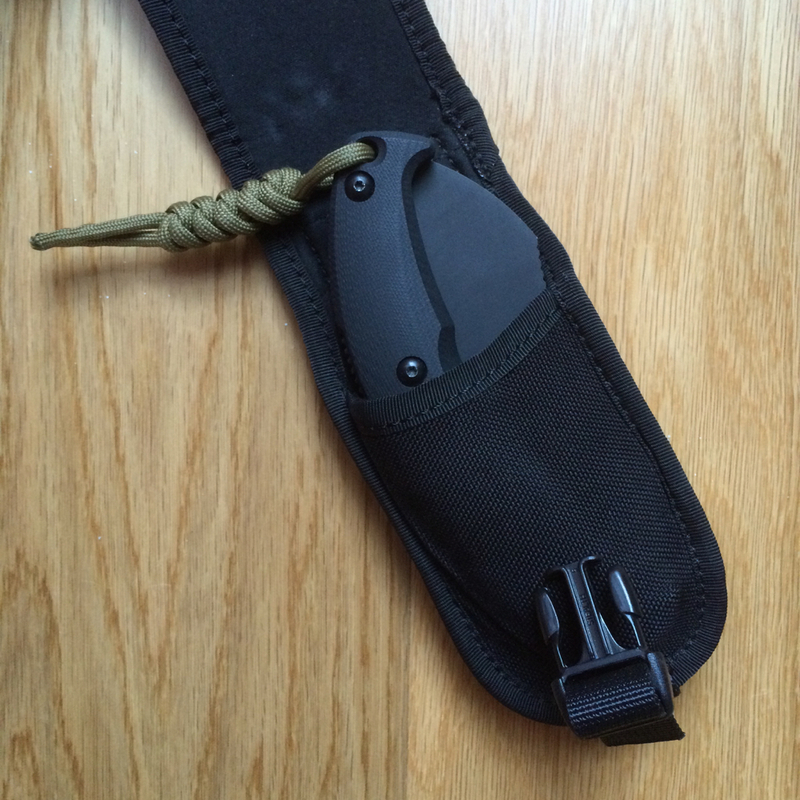 Secondary lock fixes blade in open and closed positions. 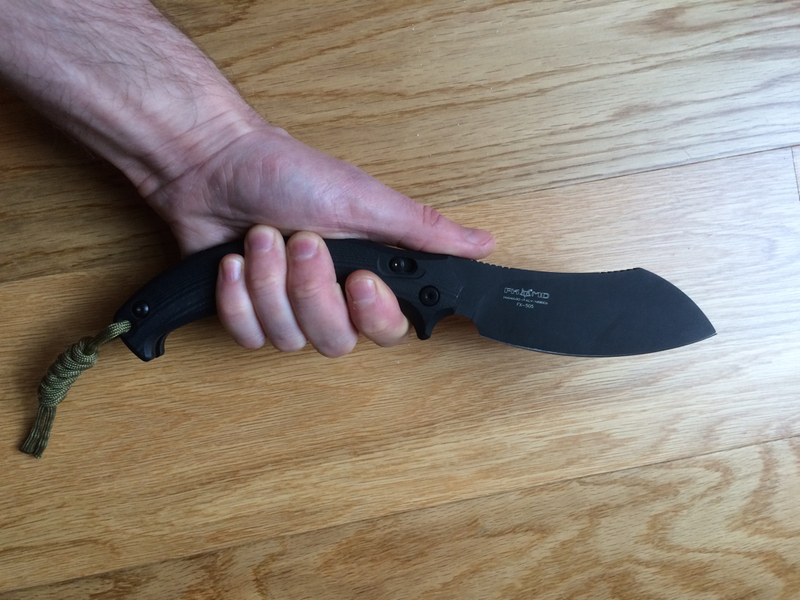 Chops as well as a heavy 7-8inch fixed-blade. Slices very well, thanks to full-flat grind. Holds an edge very well. Enough of a tip for most utility uses. Batons well, thanks to wide blade and strong tip (if your into this kind of thing). Can only be opened with two hands (no thumb stud). Just a bit too heavy to have rattling around in your trouser pockets. Ceramic coated blade will not throw a spark from a firesteel (unless you use the edge, which will of course blunt it). Lock is hard to disengage (although you could argue this is also a good thing). Male part of SR buckle is not captive, and could be lost.